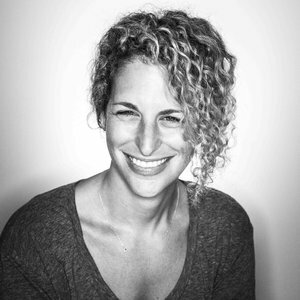 Elexis Stearn is executive producer of MPC LA, overseeing a team of talented artists working on some of the industry’s most esteemed commercials and branded films. She joined the studio’s staff in 2010, and quickly became instrumental to cultivating new business and growing existing relationships with agencies, production companies, and brand clients. A graduate of Florida State University, Elexis moved to Los Angeles at 21. She began her career at Radium, an award- winning animation/VFX/design studio, and quickly discovered a passion for production and sales. She moved to Zoic Studios handling their west coast sales, and worked her way up to executive producer, where she helped the build the advertising division. After six years at Zoic, Elexis moved back to Miami and joined Miami Ad School as Director of Placement, leveraging her industry network and knowledge to find jobs for graduates of the top advertising school. After three years in that role, MPC recruited Elexis to move back to Los Angeles to join them as executive producer. Elexis has shepherded projects with A-list directors such as Rupert Sanders, Adam Berg, Wayne McClammy, Mike Maguire, Perlorian Brothers, Brian Beletic, and Robert Stromberg, to note just a few. She’s executive produced many of MPC’s high profile and award- winning commercials including Call of Duty “Seize Glory,” Acura “Let the Race Begin” and XBox Forza “Leave Your Limits.” Elexis also enjoys coordinating charitable events at MPC. Elexis lives in Mar Vista with her husband Dan, daughter Indie, and son Levi.